With SWARCO's innovative parking guidance systems, the eternal search for a parking space is a thing of the past. 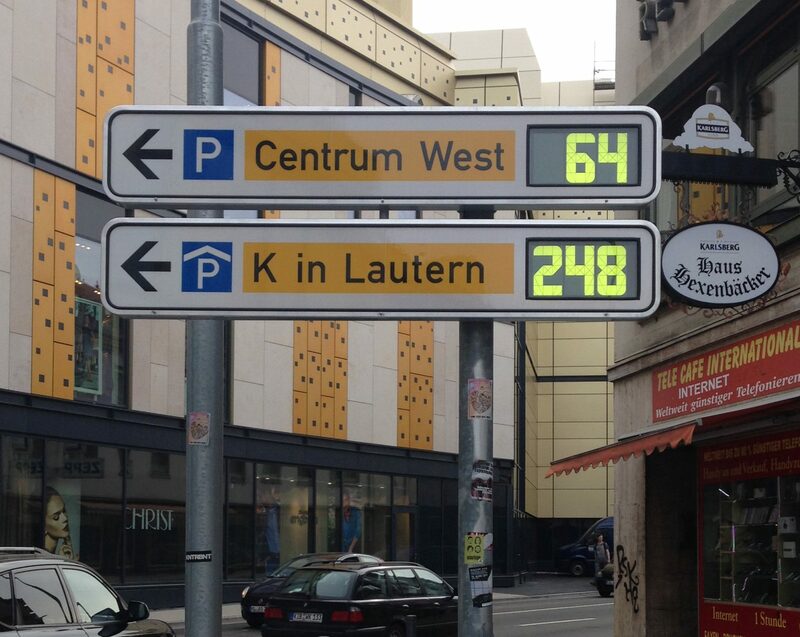 Simply follow the dynamic signs - as is now the case in Kaiserslautern. The university city of Kaiserslautern with its approximately 100,000 inhabitants invested in the attractiveness of its city centre and increased its shopping variety: The new shopping centre "K in Lautern" now attracts visitors with a colourful business world under one roof. In the course of the new building, the existing car park from the year 2000 also had to be renewed and modernised. A clear case for SWARCO. SWARCO brought all existing parking data controllers up to the latest state of the art. The central server of the parking guidance system was completely updated - both in terms of hardware and software. In addition to the central PGS server, SWARCO set up 3 additional operator stations. Existing signs and inscriptions of the parking guidance system were replaced and 10 new dynamic and static signs were added.